24 Safari - Southbroom Accommodation. A holiday destination to remember. Safari 24 is a top floor apartment with spectacular sea views. We call it the stairway to heaven! Set in a well secured and maintained complex. 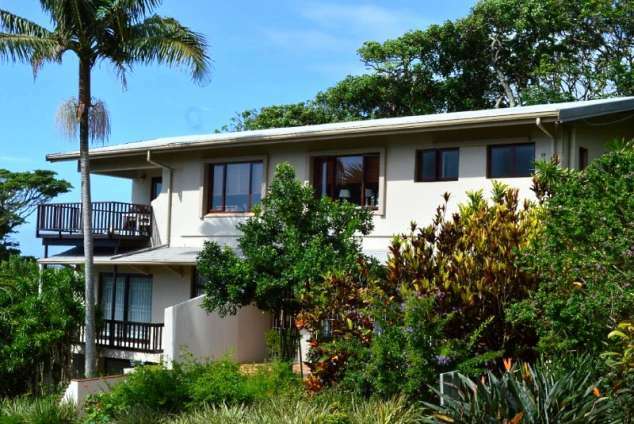 Walking distance to various beaches, a short drive to magnificent Southbroom Golf Course & Tennis Courts. Home to award winning restaurants in the area, Crocworld, MacBanana and the Famous Waffle House. Plenty for families to do. Spacious, newly renovated fully furnished and equipped consists of 3 beds, 2 baths, sleeps 6. Open plan kitchen leads onto dining & lounge areas. Spacious covered patio with Gas Weber Braai - perfect for sipping on a sun-downer. Extras: 1 x automated garage, excellent security, TV, DSTV, tumble dryer, washing machine and dishwasher. Bring your own beach towels & cleaning detergents. Cleaning can be arranged at an extra cost. • All linen provided except beach towels. • Laundry and servicing can be arranged with the care taker. • Kitchen is well equipped with 2 fridges, stove, dishwasher, microwave and all utensils. • Portable gas braai on the covered patio. • Beach (less than 500m). • Braai / barbecue - onsite. • Canoeing (less than 5km). • Car hire (less than 20km). • Golf (less than 5km). • Laundry facilities (less than 2km). • Medical facilities (less than 5km). • Nature trail (less than 2km). • Restaurant (less than 5km). 160 page views since 18 Mar, 2019.